Quail Ridge Engineering, Inc., designs and supplies material handling systems and equipment to meet specific application requirements. 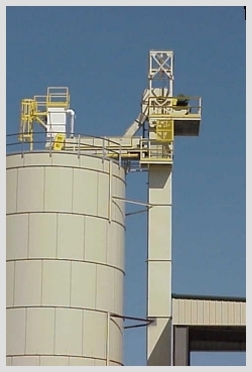 From standard belt conveyors to custom process equipment, QRE provides competitively-priced, innovative and reliable solutions in the area of bulk material handling. QRE also offers a broad range of additional engineering services, such as start-up assistance and training, to insure the successful implementation of each system supply as well as standard conveyors and components for routine service. Full lines of standard bucket elevators, screw conveyors, screw feeders, belt conveyors, belt trippers, and gates are the core products available from QRE and can be supplied competitively and quickly. QRE strives for excellence in customer satisfaction with high-quality products and responsive and efficient service. QRE offers various engineering services to meet the needs of small businesses and large businesses alike. Click here to see how QRE can help with your next project. Copyright © 2007, Quail Ridge Engineering, Inc.